Executive Vice President of AEW, Cody Rhodes, recently discussed the key factors he wants to incorporate into an eventual TV show to help it stand apart from their competitors. With All Elite Wrestling (AEW) continuing to engage their audience through their ‘Road To’ series to hype their upcoming event, Double Or Nothing, it would be understandable if their attentions were solely on their immediate shows. However, in a recent interview with the New York Post, it becomes abundantly clear that this isn’t the case. 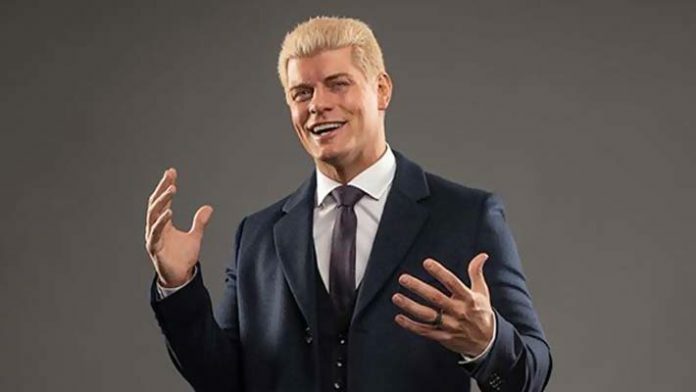 Executive Vice President, Cody Rhodes, would address the unique aspects that AEW aim to deliver in their television show. He believes these factors will help to separate them from their competition. “To give you an example: We’ve all watched a lot of wrestling where a lot of guys have been recycled and rehashed and reused, and there is always a lot of activation of the legend. I totally get that. I’m not anti it,” he clarified. AEW clearly want to revitalise the pro wrestling world and aim to deliver a product that listens to its fanbase — something other companies are often loathe to do. Their next event, Double Or Nothing, takes place on May 25th 2019 from the MGM Grand Garden Arena in Las Vegas, Nevada.